Autumn's rapidly creeping in and isn't it just the Dandiest of the seasons? It is in the UK anyway because we have a season long focus on Space Dandy and the crew of the Aloha Oe! Very excited about all the goings on so without further ado - here's a list of them. 1. Meet Space Dandy's Director! What: Meet Shingo Natsume for signings on the Anime Limited stand! For free! How do I take part? We have 200 free signing cards to give-away on a first-come, first served basis split across the two days (125 on the Saturday, 75 on the Sunday). Anyone buying Dandy merchandise at the stand can also come along and get it signed of course! 2. Hear all about Space Dandy! What: Hosted by Anime Limited's president, Andrew Partridge, join director of Space Dandy (Shingo Natsume) for a panel delving into Space Dandy and more in a rare chance to hear from a director in the anime industry! How do I take part: Turn up at MCM Glasgow Comic Con's main stage for 15:30 (check the show-guide in case that time has shifted of course) and be ready to ask questions - we've left a healthy amount of time for them! When: Saturday 6th of September, MCM Comic Con Main stage. 3. 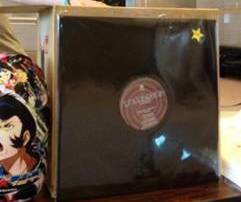 Collect Space Dandy music on vinyl! What: We've got an extremely limited amount of Space Dandy 8-track vinyl soundtracks coming to MCM Glasgow Comic Con to celebrate the director's presence! We'll be selling 20 of them at the event for £18 - these aren't available on general sale as they were an event-only sale in Japan so grab your piece of Dandy history on a first-come-first-served basis! How do I take part: Swing by the Anime Limited stand and grab one while stock lasts! What: Ohohoho! We have a special guest coming to MCM London - it's a familiar face too back for a second time and he's been super busy this year! Expect a Dandy panel among the obvious signing sessions on Saturday and Sunday with him and more. We'll update this section when everything is official. How do I take part: Be at London Comic Con in October - simple as that! 2. Space Dandy - Season 1 launch! What: It's true - we're aiming to have Space Dandy Season 1 available for sale at MCM Comic Con! We'll have more information at the event but obviously we have some promotional tricks up our sleeve there so you don't want to miss out! Pre-ordered it on Amazon? Don't cancel your order in a rush as we'll have special gifts for you too ;)! 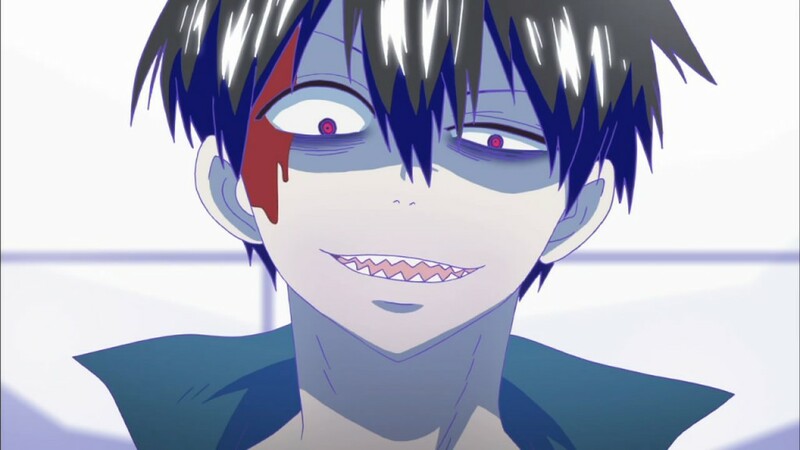 How do I take part: Go to their Anime Day - you won't be disappointed I can assure you. What: It's their last EVER event - so we want to make sure they go forwards following the Dandy way to live! We've not even told them what we have in mind yet so we couldn't possibly say what we have in mind yet! Instead we recommend you register for their weekend event here: www.auchinawa.org.uk. Again it's not guest related. How do I take part: Register here - www.auchinawa.org.uk then just await further information ;)! Phew! That's quite a bit of information isn't it? Well first up - MCM Glasgow Comic Con and we're really psyched! PRE-ORDER DETAILS FOR SEASON 1? 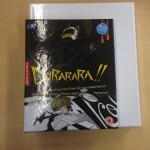 - 200 page artbook from the series! How cool is that? More details to follow including visuals over the next month so watch this space! Until then, live life to the Dandiest folks! You must all be getting very bored of updates from me about Gurren Lagann's Ultimate Edition now but I thought we owed you one last update really - to highlight the changes we've made on the release and why outside of Japan this is justifiably the best edition around! 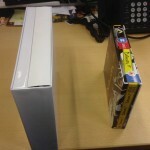 Artbook sized up – quite a difference as you can see! What you're seeing are "white samples". 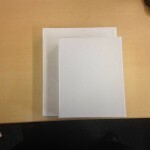 We get these a lot because we don't operate with standard packaging so we ask to see the types before we go to print. It avoids something horrible happening and protects the manufacturer from complaints later if it matches what they send out. Obviously the previous iteration before changes are quite staggering! It was a choice made 100% on our side to preserve the quality of what we're doing and to satisfy approvals as you can imagine. One on top of the other here to show scale! So now you should have a bit of an idea about just how far we've taken this - and if we're going to make you guys wait (Spring 2014 seems so long ago now...) then I want you to have the very best edition we can do. 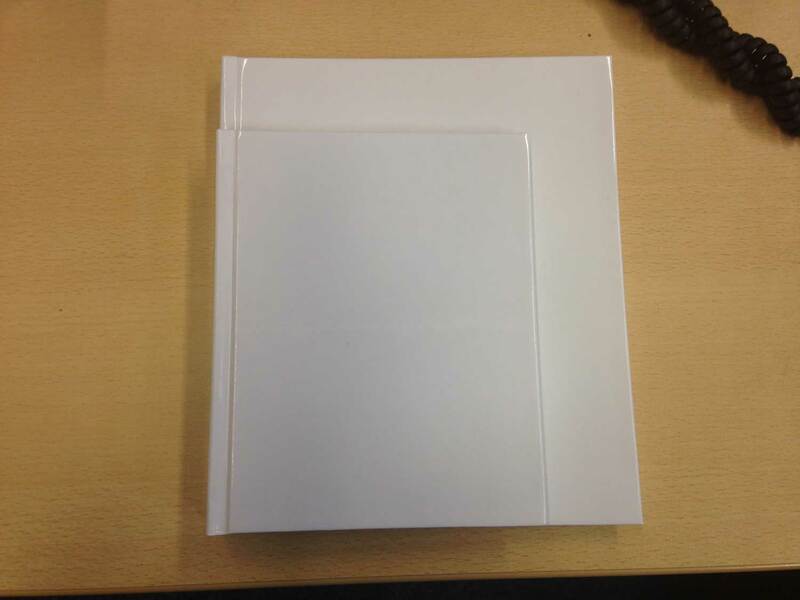 It costs more to do* but I'd rather deliver the best possible edition we can for you guys! * Not enough to be dangerous though for us, so don't worry! Gurren Lagann – once more unto the breach! So folks! An update is due for Gurren Lagann at the eleventh hour - not because we’ve been hiding news but we wanted to have all the details locked down before saying anything! I’ll start by prefacing with there’s good news as well as the predictable bad news! Gurren Lagann is moving from September 1st to September 29th. This is because we only received the final sign-off for the art book at the end of last week and as this project requires special parts it takes at least 5 weeks to turnaround to get it to retail. Glad you asked - as there's a tonne more good news than bad! Basically as the art book took so long to approve - instead of just sitting on our hands the whole time doing nothing, we decided to improve what you're getting! Think of it as an apology as well as just a sign of our love of making these editions :). 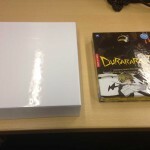 - Art book is now 18.1cm x 21cm -> not A5 (small). 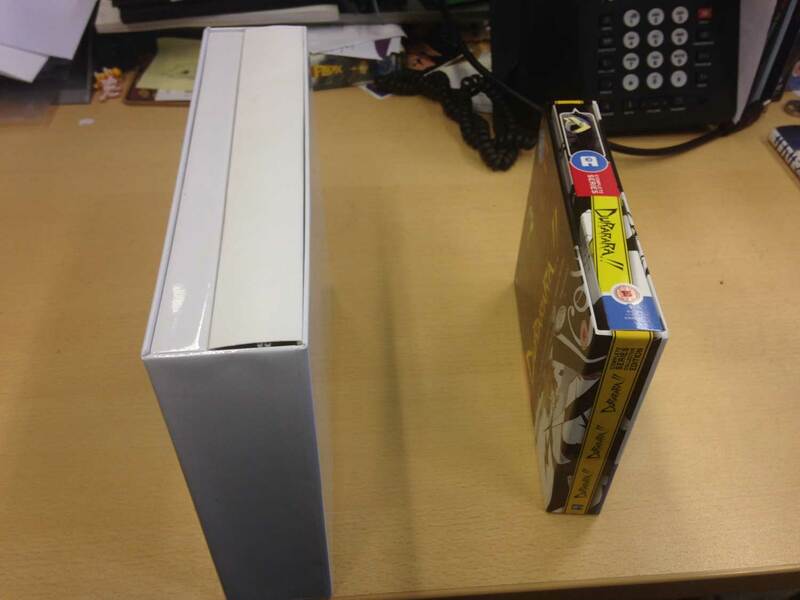 People can correct me if I am wrong on - but I believe this has never been done on a domestic release in the UK before! 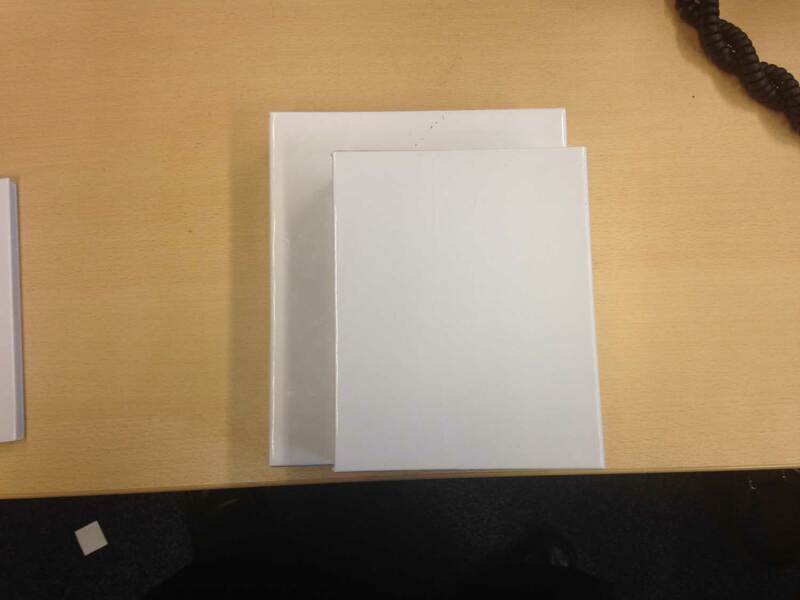 - Packaging has been upsized to fit the book inside -> so basically you're going to feel like it's an ultimate edition more than ever! We had to figure out a custom way to do the digipack as well to fit the spec so hoping folks will like it! 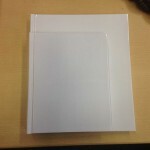 - Art book's page count is now 116 pages inc covers -> From 100 pages inc covers - so an extra 16 larger pages of content! - Following fan QC - we upped the bit-rate on the TV series -> Averages out now at a whopping 30MBPs - which is well above what a remastered show usually gets outside of Japan! 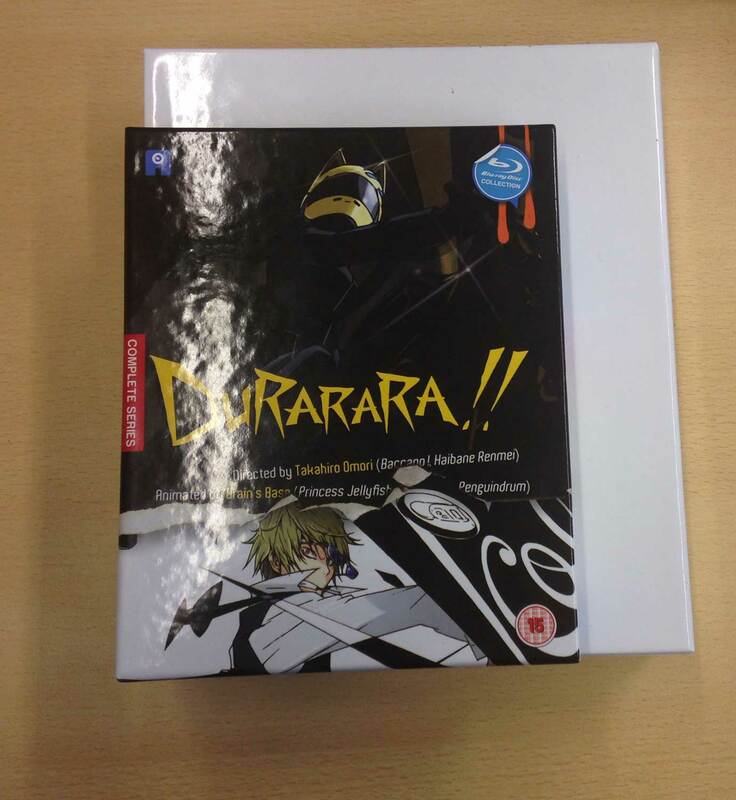 - O-CARD around box (not pictured) with BBFC, Anime Ltd logo and different artwork on it. 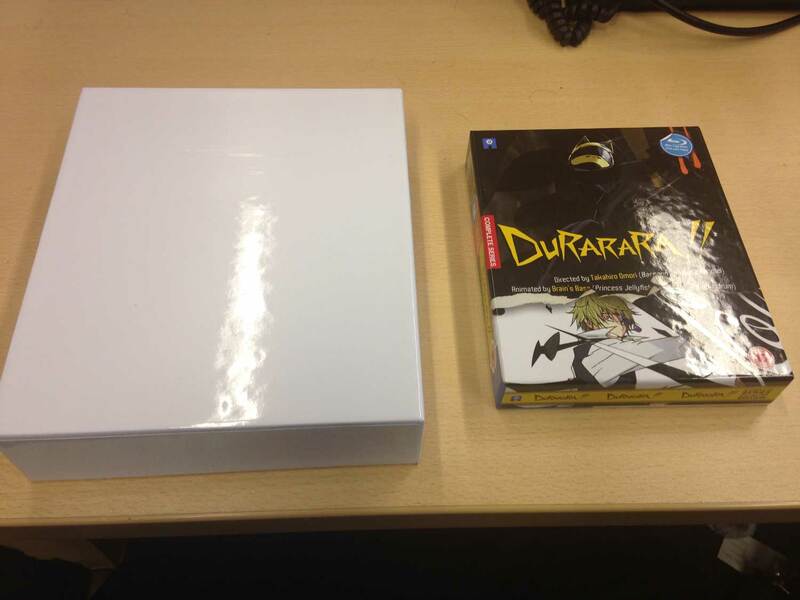 - Clean box, sized up to the same as the art book using deluxe edition artwork. - Art card certifying the number your release is out of. - From storyboard to animation – animated storyboards. Catch folks soon no doubt and sorry for the slight additional delay!